Dr. Kevin Frawley is an exceptional person and professional dedicated to helping his patients create the smile they were meant to have. He received his undergraduate degree from UCLA with a B.S. in Biology in 1977. He enjoyed being a Bruin so much that he completed his dental degree at UCLA as well in 1982. After a year residency at the Veterans' Administration clinic in Westwood, he established his private practice in cosmetic and implant dentistry in Beverly Hills. He has been practising in the same building now for over 30 years! Dr. Frawley is committed to the development of dentistry on all levels. He taught at the UCLA School of Dentistry for many years, passing on his knowledge to the dentists of tomorrow. He has been involved with both local and national dental associations. He is a member of the American Dental Association, the California Dental Association, the Los Angeles Dental Society, the Beverly Hills Academy of Dentistry, the American Academy of Cosmetic Dentistry, the American Academy Osseointegration, and the American Academy of Dental Sleep Medicine. 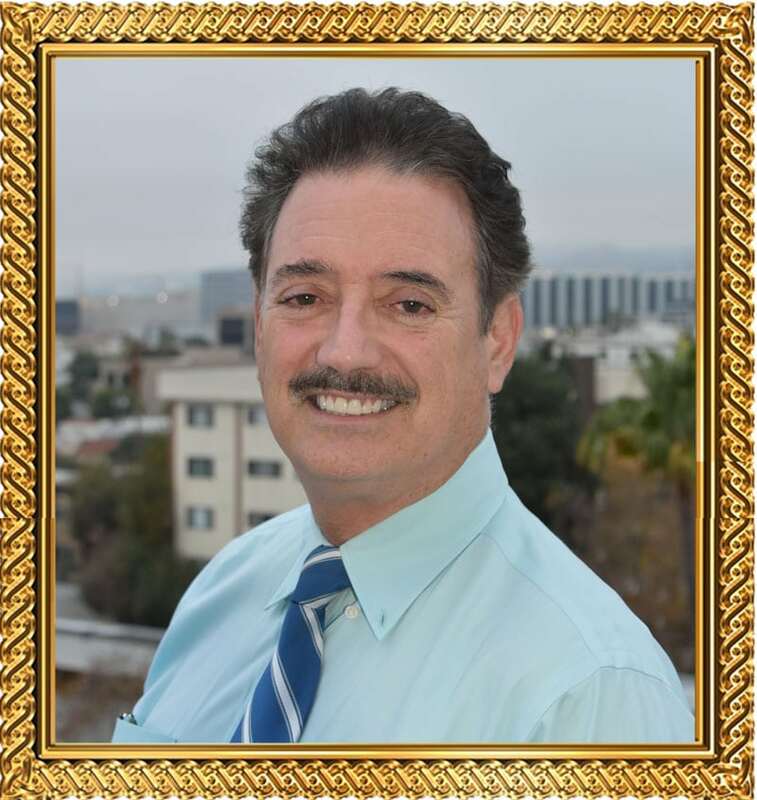 He is Past President of the Beverly Hills Academy of Dentistry and the Los Angeles Dental Society. Dr. Frawley also takes many continuing education classes to further improve his skills, and to enable him to provide you with the highest caliber of care available. Dr. Frawley is founder of Surgical Esthetics- a company that sells dental bone graft and membrane materials. He also is the mastermind behind Helping Hands Surgical Mentoring. For both of these endeavors, Dr. Frawley travels around the country and internationally giving hands-on lectures to other dentists. He teaches them how to extract and bone graft teeth. He also teaches in the Wehrle Implant Immersion Course in Puebla, Mexico, which is an intensive week long course where he instructs dentists on how to place dental implants. Dr. Frawley is also a dedicated family man. He enjoys spending time with his wife, Elaine, and his three children, Michele, Shawn, and Kristen. He is happy to be practicing with Dr. Michele and Dr. Shawn. He is a proud Papa to his grandchildren Lilly, Lyla, Avery, Kendall, and Quinn. He enjoys playing with the kids and attending their activities. Dr. Frawley enjoys gardening, tending his koi pond, and traveling.